Picture - Typhoon Ib EK139 N "Dirty Dora" of 175 Sqn. being armed with 500 lb (227 kg) concrete practice bombs in late 1943. Nicknamed the Tiffy in RAF slang, the Typhoon's service introduction was also plagued with problems, and for several months the aircraft faced a doubtful future. However, in 1941 the Luftwaffe brought the formidable Focke-Wulf Fw 190 into service. As the only fighter in the RAF inventory capable of catching the Fw 190 at low altitudes, the Typhoon secured a new role as a low-altitude interceptor. In addition, the Typhoon won the support of pilots such as Roland Beamont. Through their dedication the Typhoon established itself in roles such as night-time intruder and a long-range fighter. From late 1942 the Typhoon was equipped with bombs; from late 1943 ground attack rockets were added to the Typhoon's armoury. Using these two weapons, the Typhoon became one of the Second World War's most successful ground-attack aircraft. Even before the new Hurricane was rolling off the production lines in March 1937, Sydney Camm had moved on to designing its replacement. This was to be a large fighter designed around the large and more powerful 24 cylinder Napier Sabre engine. The work proved useful when Hawker received Specification F.18/37 from the Air Ministry in January 1938 which asked for a fighter based on either the Sabre or the Rolls-Royce Vulture engine. Both engines used 24 cylinders and were designed to be able to deliver over 2,000 hp (1,491 kW); the difference between the two was primarily in the arrangement of the cylinders - an H-block in the Sabre and an X-block in the Vulture. 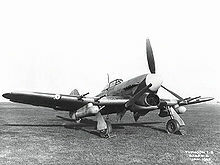 The two designs became known as the "R" and "N" (from the initial of the engine manufacturer) and were very similar; the Vulture-powered R type (the Tornado) had a rounder nose profile and a ventral radiator, whereas the Sabre-powered N (the Typhoon) had a flatter deck and a chin-mounted radiator. The basic design of both was a combination of traditional Hawker and more modern construction techniques; the front fuselage structure, from the engine mountings to the rear of the cockpit, was made up of bolted and welded duralumin or steel tubes while the rear fuselage was a flush riveted, semi-monocoque structure. The forward fuselage and cockpit skinning was made up of large, removable duralumin panels, allowing easy external access to the engine and engine accessories and most of the important hydraulic and electrical equipment. The design used a large 41-foot-7-inch (12.67 m) shallow-angle inverted gull wing of NACA 22 wing section, with a thickness to chord ratio of 19.5% at the root tapering to 12% at the tip; this was much thicker than those on designs like the Supermarine Spitfire. This wing had great structural strength, provided plenty of room for fuel tanks and a heavy armament, and helped the aircraft to be a steady weapons platform. Wing area was 279 sq ft (29.6 sq m). The inner wings, outboard of the fuselage had a 1� anhedral while the outer wings, attached to the inner just outboard of the undercarriage legs, had a dihedral of 5��. Each of the inner wings incorporated two fuel tanks; the "main" tanks, housed in a bay outboard and to the rear of the main undercarriage bays, had a capacity of 40 gallons while the "nose" tanks, built into the wing leading edges, forward of the main spar, had a capacity of 37 gallons each. Also incorporated into the inner wings was an undercarriage with a track of 13 ft 6� in. Although the Typhoon was expected to achieve 460 mph (740 km/h) in level flight, at just over 400 mph (644 km/h) the thick wings created a large drag rise and prevented higher speeds. Tests revealed that the Typhoon was capable of 410 mph at 20,000 feet (6,100 m), although the climb rate and performance above that level was considered disappointing. If the Typhoon was dived at speeds of over 500 mph (805 km/h) the drag rise led to buffeting and trim changes. The problems with compressibility led to Camm designing thinner wings with a laminar flow section, leading to the Tempest as a follow on to the Typhoon. 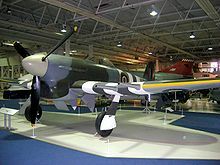 The first flight of the first Typhoon prototype, P5212, made by Hawker's Chief test Pilot Philip Lucas from Langley, was delayed until 24 February 1940 because of the problems with the development of the Sabre engine. On 9 May 1940 the prototype suffered from a mid-air structural failure, at the join between the forward fuselage and rear fuselage, just behind the pilot's seat. Philip Lucas could see daylight through the split but, instead of baling out, he was able to land the stricken Typhoon and was later awarded the George Medal. On 15 May the Minister of Aircraft Production, Lord Beaverbrook, ordered that resources should be concentrated on the production of five main aircraft types (Spitfire, Hurricane, Whitley, Wellington and the Blenheim). As a result development of the Typhoon was slowed, production plans were postponed and test flying continued at a reduced rate. A second prototype, P5216 first flew on 3 May 1941. In the meantime the Air Ministry had given Hawker an instruction to proceed with the construction of 1,000 of the new fighters. It was felt that the Vulture engine was more promising, so the order covered 500 Tornadoes, 250 Typhoons, with the balance to be decided once the two had been compared. It was also decided that because Hawker was dealing with increasing Hurricane production the Tornado would be built by Avro while Gloster would build the Typhoons at Hucclecote. As a result of good progress by Gloster the first production Typhoon R7576 was first flown on 27 May 1941 by Michael Daunt, just over three weeks after the second prototype. As was usual with front line Second World War RAF aircraft, the Typhoon was modified and updated regularly, so that a 1945 production example looked quite different from one built in 1942. In the last months of the war a number of older aircraft were taken out of storage and overhauled, sometimes seeing active service for the first time; for example, R7771 was from one of the first production batches, built in 1942 with the car-door canopy and other early production features. This Typhoon was delivered to, and served on the Fighter Interception Unit in 1942. In February 1945 R7771 was listed as being in front line service on 182 Sqn. ; by then it was fitted with a clear-view "bubble" hood, rocket rails and other late series features. Picture - Unidentified early Typhoon with 45 gallon drop tanks and unfaired cannon; note the retractable step (above starboard wheel). The Typhoon was first produced with forward-opening side doors (complete with wind-down windows), with a transparent "roof" hinged to open to the left. The first 162 Typhoons featured a built-up metal-skinned fairing behind the pilot's armoured headrest; the mast for the radio aerial protruded through the fairing. From mid- to late 1941 the solid metal aft canopy fairing was replaced with a transparent structure (later nicknamed "The Coffin Hood"), the pilot's head armour plate was modified to a triangular shape and the side cut-outs were fitted with armour-glass; the first production Typhoon to be fitted with this new structure was R7803. All earlier aircraft were quickly withdrawn and modified. The first problem encountered with the Typhoon after its entry into service was the seepage of carbon monoxide fumes into the cockpit. In an attempt to alleviate this, longer exhaust stubs were fitted in November 1941 ("Mod [modification] 239"), and at about the same time the port (left) cockpit doors were sealed. The Pilot's Notes for the Typhoon recommended that "Unless Mod. No. 239 has been embodied it is most important that oxygen be used at all times as a precaution against carbon-monoxide poisoning." In fact, the problem was never entirely solved, and the standard procedure throughout the war was for Typhoon pilots to use oxygen from engine start-up to engine shut-down. In addition to carbon monoxide seepage, pilots were experiencing unpleasantly high cockpit temperatures; eventually a ventilation tube helped alleviate, but did not solve the problem. In addition two small, rear opening vents were added below the port side radio hatch, just below the canopy, although these were later removed. P5212 carried an armament of 12 .303 in (7.7 mm) Brownings, set in groups of six in each outer wing panel. This was the armament fitted to the first 110 Typhoons, known as the Typhoon IA. P5216 carried an armament of four belt-fed 20 mm (.79 in) Hispano Mk II cannon, each with 140 rounds per gun; this version was the Typhoon IB. Later in 1943, after experiments by Roland Beamont of 609 Squadron, removable fairings were fitted to the cannon barrels as standard. One of the worst problems afflicting Typhoons was the loss of the entire tail sections of some early aircraft; this occurred mainly during high-speed dives. It was eventually determined to be caused by a combination of factors, including harmonic vibration, which could lead to early metal fatigue, and a weak transport join just forward of the horizontal tail unit. Several modifications were made to alleviate these fuselage failures; Initially a steel strap was fitted internally across the rear fuselage transport joint in September 1942. This was a temporary measure, superseded by Mod 286 (modification number 286). For Mod 286 20 alloy "fishplates" were riveted externally across the rear fuselage transport joint; internally some of the rear fuselage frames were strengthened. This was a permanent measure designed to stop in-flight rear fuselage structural failures. From December 1942 through to March 1943 all Typhoons without this modification were taken out of service and modified. This was introduced on the production line from the 820th production aircraft EJ902. Picture - A Charles E. Brown photo of EK286, "Fiji V, Morris Headstrom Fiji" a brand new presentation aircraft, at Gloster's Hucclecote airfield, April 1943. The photo gives a clear view of the "car-door" cockpit entry - the rear view mirror under a perspex blister can be seen on the hinged canopy roof. Another modification made to the tail unit was the replacement of the external mass balance weights on the rudder by an internal mass balance weight on a slightly redesigned rudder; this was fitted from mid-1942. Suspicion then fell on the internal elevator mass balance weights, and modified versions of these were fitted from May 1943 on. This was also designed to alleviate rear fuselage failure due to harmonic vibration failure of the bracket holding the weight assembly. Finally this entire unit was completely replaced with a redesigned assembly from August 1944. Although these modifications reduced the numbers of Typhoons being lost due to tail assembly failure, there were still some tail failures right up to the end of the Typhoon's operational life, which cost at least 25 aircraft and the lives of 23 pilots. From early 1943 the wings were plumbed and adapted to carry cylindrical 45-gallon drop tanks, increasing the Typhoon's range from 690 miles (911 km) to up to 1,090 miles (1,754 km). This enabled Typhoons to range deep into France, the Netherlands and Belgium. Some units, such as 609 Squadron and 198 Squadron, were able to achieve notable success in both air combat and ground attack operations using these long-range Typhoons. As production was continued the Typhoon's role changed from a low-level interceptor fighter to a fighter bomber; bomb racks capable of carrying 500-lb (227 kg) bombs were being fitted to the wings from October 1942. These were first used operationally by 181 Squadron. By mid-1943, all Typhoons off the production line were capable of carrying bombs. Bigger, solid rubber, grooved "anti-shimmy" tail wheel tyres were introduced in March 1943 on all Typhoons from the 1,001st production aircraft EK238. The new tyres helped to make heavier, bomb-laden Typhoons more manageable during ground manoeuvres. With the introduction of the bomb racks, small extensions were added to the cannon shell case ejector slots. These allowed the casings to clear bombs or drop tanks suspended from the wing racks. Also associated with the fitting of bombs was the introduction of reinforced main wheels. On these the openings were smaller than those on the earlier wheels, and the "spokes" were flatter and thicker. Bigger brake discs were also fitted; at first this only applied to "Bombphoons"; eventually all Typhoons used these brakes. After tests conducted in 1943 it was determined that the Typhoon was capable of carrying a 1,000-lb (454 kg) bomb under each wing. With the increased load it was decided that the extra takeoff performance conferred by a four-bladed propeller was an advantage; this led to the adoption of a four-blade propeller unit (de Havilland or Rotol) from early 1944. In turn, the larger tail planes of the Hawker Tempest were fitted from June 1944 on; these improved the handling characteristics of the Typhoon when carrying 1,000-lb (454 kg) bombs. Originally they were only used on "Bombphoons". Starting in the MN production series all Typhoons had the larger tail unit.. In June 1943 Hawker fitted a Typhoon with steel "Mark I" rocket rails, four under each wing; trials at the A & AEE and AFDU showed that the combination of the RP-3 rocket and the stable, high-speed platform of the Typhoon was promising. Carrying the eight rails and rockets, it was found that the top speed was reduced by 38 mph (61 km/h), with no adverse handling effects. As a result the Mk I rails and RP-3s were first fitted to production aircraft of 181 Sqn. in October 1943, and by D-Day 2 TAF were able to field eleven RP Typhoon squadrons and seven "Bombphoon" squadrons. Later in 1944 attempts were made to increase the firepower by "double banking" rockets on each rail, enabling the Typhoon to carry 16 rockets. The problems involved in operating Typhoons from 2 TAF airstrips meant that this option was never fully utilised, although some Typhoons did fly operationally with 12 rockets, using double-banked rockets on the inner rails. When extra range was required, Typhoons could also operate carrying a drop tank and two rockets outboard of the tank under each wing. From December 1944 aluminium "Mark III" rails, which weighed 240 lb (109 kg) per set, replaced the steel Mk Is (480 lb [218 kg] per set). Throughout its service life the Typhoon airframe was prone to a high-frequency vibration while in flight, such that pilots reported that touching the cockpit walls was akin to receiving a mild electric shock. Although not dangerous, it was uncomfortable, and a specially sprung seat was designed and fitted. This vibration was alleviated to some extent with the introduction of the four-bladed propeller. From early 1942 a rear-view mirror was mounted in perspex blister moulded into the later "car-door" canopy roofs. This modification was not very successful, because the mirror was subject to vibration. From late 1942 all new-build Typhoons replaced the aerial mast with a whip aerial mounted on the rear fuselage. The gun camera was moved from the leading edge of the outer port wing to the starboard engine bearers, sighting through an opening in the lower engine cowling. The new location was prone to engine vibration but, because the film was still usable, the camera stayed in this location. Removable exhaust fairings were fitted in mid-1943. These were soon discarded when they were found to be of little benefit to aircraft performance, plus they complicated maintenance. The "car-door" canopy structure was replaced by a clear, one piece sliding "bubble" canopy after test flights were conducted in early 1943. These new canopies provided a far superior field of view to the car-door type, and from November 1943 all production aircraft, starting with JR333, were so fitted. Many older Typhoons were retrofitted with the new canopies; it is believed that the first modified Typhoon was R8843 DJ-S, flown by New Zealander Wing Commander Desmond J. Scott, C/O of the Tangmere Wing from September 1943. With the new canopy the pilot's head armour was reshaped and the identification light behind the aerial mast structure on "car-door" canopy aircraft was removed. In 1943, one Typhoon, R7881 was converted to a prototype night fighter (N.F. Mk. IB), fitted with A.I. (Airborne Interception, i.e., radar) equipment, a special night-flying cockpit and other modifications. Also in 1943, five Typhoons, R8889, R8891, R8925, DN323 and EJ906 were modified to "Tropical" standard by fitting of an air filter in a fairing behind the main radiator housing. R8891, DN323 and EJ906 underwent trials in Egypt with 451(RAAF) Squadron during 1943. In late 1943 Mk III IFF replaced the Mk I and the tailplane tip to fuselage IFF aerials were replaced by a "bayonet" aerial under the wing's centre section. A Rebecca transponder unit was fitted in 1944, with the associated aerial appearing under the centre section. 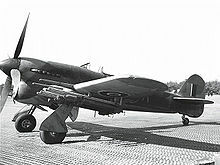 Once Typhoons started operating from forward landing grounds in Normandy, it was found that the dust clouds stirred up by propeller wash consisted of over 80% of hard, abrasive material which was damaging the Sabre engines; the sleeve valves in particular were subject to excessive wear, and it was calculated that engines would last for three take-offs. As a result a "dome deflector" was designed and manufactured at great speed by Napier, and most Typhoons were fitted with this within a week. In operational service these mushroom-shaped filters, which became red hot, had a propensity of being blown off the air intake at high speed whenever a Sabre engine backfired. They were soon replaced by drum-shaped filters designed by the RAE and Vokes; these had "cuckoo clock" doors in front which swung open with the pressure changes caused by engine backfires. This standardised filter became Typhoon Mod.420. The Typhoon FR IB was developed in early 1944 and was used as a tactical reconnaissance fighter. In this version the port inner cannon was removed and three F.24 (one forward facing 14 inch and two vertical five inch) cameras were carried in its place. Few FR IBs were built, and most served with 268 Squadron, starting in July 1944. The aircraft was never popular with the pilots, who preferred the older Mustang Is and IAs, and the inherent engine and airframe vibrations meant that photos were invariably blurred. As a consequence of these problems the FR IB was phased out in January 1945. At the end of June 1944 a decision was taken to fit as standard tropical air filters, similar to those fitted on the three Typhoons which had been sent to North Africa in 1943. One thousand sets of the filters were to be manufactured and fitted to frontline Typhoons as Mod. 421; it was estimated that these could be fitted to all Typhoons on the production lines by the end of September. Research shows that late Typhoons starting in the RB--- series were fitted with the filters, as were some rebuilt aircraft from earlier production batches. Mod 421 appeared as a streamlined rectangular "hump" just behind the main radiator fairing and between the inner wheel doors. A small, elongated oval static port appeared on the rear starboard fuselage in late 1944. This was apparently used to more accurately measure the aircraft altitude. Picture - Late production Typhoon of a Canadian squadron. Clear view canopy, grooved "anti-shimmy" tailwheel, four blade propeller, "bayonet" IFF aerial, no landing lights. 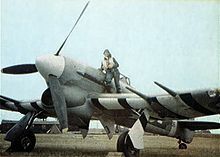 One Typhoon, R8694, was used by Napiers for trials with more powerful Sabre IV cooled using an annular radiator and driving a four bladed propeller; the new engine and radiator arrangement required substantial modifications to the forward fuselage and engine bearer structures. Although a maximum speed of 452 mph was claimed by Napier, it was decided that the modifications would not be worthwhile, mainly because of the promising development of the Tempest and the disruption to Typhoon production. In 1941 Hawker tendered the Hawker P.1009 "Fleet Fighter" in response to specification N.11/40 for a carrier-based fighter. A new centre section was to be fitted, extending the wingspan to over 45 ft (13.7 m): the wings themselves were to swing and fold parallel to the fuselage, with the leading edges pointing upwards. The rear fuselage was to be longer and a vee arrestor hook and associated catapult gear was to be fitted. The design chosen was to eventuate as the Blackburn Firebrand. The Spitfire Vs which equipped the bulk of Fighter Command squadrons were outclassed in combat with the Focke-Wulf Fw 190 and were suffering heavy losses. The Typhoon was rushed into squadron service (with Nos. 56 and 609 Squadrons) in an attempt to counter the Fw 190. This decision proved to be a disaster, and several Typhoons were lost to unknown causes. Because of these problems the Air Ministry began to consider halting production of the Typhoon. The in-flight tail failure was eventually identified, albeit only because one pilot survived and was able to explain what had happened; Mod 286 was a partial remedy, although there were still failures right up to the end of the Typhoon's service life. Picture - US-A was flown by Squadron Leader T.H.V Pheloung (Oamaru, New Zealand) April 1943. [nb 12] An 18-inch-wide (460 mm) yellow recognition stripe is visible on the upper wing. The Sabre engine was also a constant source of problems, notably in colder weather, where it was very difficult to start. The Typhoon did not begin to mature as a reliable aircraft until the end of 1942, when its good qualities-seen from the start by S/L Roland Beamont of 609 Squadron-became apparent. It was extremely fast, tough and capable, and its unplanned bomb load was doubled and then doubled again. During late 1942 and early 1943, the Typhoon Squadrons on the South Coast were finally effective in countering the Luftwaffe's "tip and run" low-level nuisance raids, shooting down a score or more fighter-bomber Fw 190s. The first two Messerschmitt Me 210 fighter-bombers to be destroyed over the British Isles fell to the guns of Typhoons in late 1942, and during a daylight raid by the Luftwaffe on London on 20 January 1943, five Fw 190s were destroyed by Typhoons. 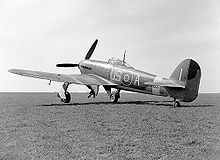 As soon as the aircraft entered service it was immediately apparent the profile of the Typhoon resembled a Fw 190 from some angles, and this similarity caused more than one "friendly fire" incident with Allied anti-aircraft units and other fighters. This led to Typhoons being marked up with high visibility black and white stripes under the wings, a precursor of the markings applied to all Allied aircraft on D-Day. By 1943 the RAF needed a dedicated ground attack fighter more than a "pure" fighter, and the Typhoon was suited to the role. The powerful engine allowed the aircraft to carry a massive load of (eventually) up to two 1,000 lb (454 kg) bombs, equal to the light bombers of only a few years earlier. The bomb-equipped aircraft were nicknamed "Bombphoons" and entered service with No. 181 Squadron, formed in September 1942. From September 1943 Typhoons could also be armed with four "60 lb" RP-3 rockets under each wing. In October 1943, No. 181 Squadron made the first Typhoon rocket strikes. Although the rocket projectiles were inaccurate and took some considerable skill to aim properly and allow for the drop after firing, "the sheer firepower of just one Typhoon was equivalent to a destroyer's broadside." Against the Wehrmacht's tanks, the rockets needed to hit the thin-walled engine compartment or the tracks to have any chance of destroying or disabling the tank. Analysis of destroyed tanks after the Normandy battle showed a "hit-rate" for the air-fired rockets of only 4%. Inaccuracy notwithstanding, the rockets (backed by the Typhoon's four 20 mm cannon) proved highly effective against many targets, such as unarmoured "soft-skinned" vehicles, road transport, trains and small sea craft. By the end of 1943, 18 rocket-equipped Typhoon squadrons formed the basis of the RAF's Second Tactical Air Force ground attack arm in Europe. In theory the rocket rails and bomb-racks were interchangeable; in practice, to simplify ordnance supply-lines, some 2 TAF Typhoon squadrons (such as 198 Squadron) used the rockets only, while other squadrons were armed exclusively with bombs. By D-Day, in June 1944, the RAF had 26 operational squadrons of Typhoon IBs. The aircraft proved itself to be the most effective RAF tactical strike aircraft, both on interdiction raids against communications and transport targets deep in North Western Europe prior to the invasion, and in direct support of the Allied ground forces after D-Day. Picture - 198 Sqn. Typhoons on airfield B.7 Rucqueville-Martragny, France, in July 1944. MN526 TP-V has the larger Tempest tailplane and a four bladed propeller. A heavy dust cloud has been stirred up by the taxiing aircraft. A system of close liaison with the ground troops was set up by the RAF and army: RAF radio operators in vehicles equipped with VHF R/T travelled with the troops, often close to the front line. In situations where air support was needed they were able to call up Typhoons operating in a "Cab Rank", which then continuously attacked the targets marked for them (usually with smoke shells fired by mortar or artillery) until they were destroyed. A German counter-attack, starting on 7 August, at Mortain, in the Falaise pocket, threatened Patton's breakout from the beachhead. This was repulsed by 2nd TAF Typhoons, which destroyed or damaged some 81 vehicles. In the Vire area, where the British Army was under attack, Typhoons flew 294 sorties on one day, firing 2,088 rockets and dropping 80 tons (73 tonnes) of bombs. Dwight D. Eisenhower, the Supreme Allied Commander, said of the Typhoons; "The chief credit in smashing the enemy's spearhead, however, must go to the rocket-firing Typhoon aircraft of the Second Tactical Air Force. The result of the strafing was that the enemy attack was effectively brought to a halt, and a threat was turned into a great victory." On 24 October 1944, 146 Typhoon Wing attacked a building in Dordrecht where senior members of the German 15th Army staff were meeting; 17 staff officers and 55 other officers were killed. Picture - Armourers loading RP-3 rockets with 60 lb High Explosive heads onto steel Mk. I rails. The large hinged gun-bay doors are open. 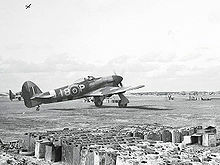 The weathered Invasion stripes are on upper and lower wing surfaces, indicating this photo was taken some time in June 1944. 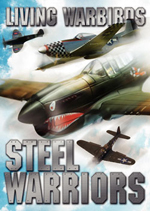 On 3 May 1945, the Cap Arcona, the Thielbek and the Deutschland were sunk in four separate attacks by RAF Hawker Typhoon 1Bs of 83 Group, 2nd Tactical Air Force: the first by 184 Squadron based in Hustedt, the second by 198 Squadron based in Plantlx�nne led by Wing Commander John Robert Baldwin, the third by 263 Squadron based in RAF Ahlhorn (Grox�enkneten) led by Squadron Leader Martin T.S. Rumbold and the fourth by 197 Squadron led by Squadron Leader K.J. Harding based in RAF Ahlhorn. The top scoring Typhoon ace was Group Captain John Robert Baldwin (609 Squadron and Commanding Officer 198 Squadron, 146(Typhoon) Wing and 123(Typhoon) Wing), who claimed 15 aircraft shot down during 1942-44. Some 246 Axis aircraft were claimed by Typhoon pilots during the war. Production of the Typhoon, almost entirely by Gloster, was 3,317 machines. Hawker developed an improved version of the Typhoon, the Typhoon II but the differences between it and the Mk I were so great that it was effectively a different aircraft and was renamed the Tempest. Once the war in Europe was over, the RAF was quick to remove the aircraft from front line squadrons; by October 1945 the Typhoon was no longer in use as an operational aircraft, with many of the wartime Typhoon units (for example, 198 Squadron) either being disbanded or renumbered. By 1943, with its change of role to ground attack, the Typhoon was constantly operating over enemy territory: inevitably some flyable examples were to fall into German hands. The first Typhoon to be flown by the Luftwaffe was EJ956 SA-I of 486(NZ) Sqn. On 23 March 1943, two aircraft flown by F/O Smith and F/S Mawson were on a "Rhubarb" over France. Just as they were crossing the coast at low altitude, Mawson's Typhoon was hit by light flak. He managed to belly-land in a field near Cany-Barville, but the aircraft was captured before he could destroy it. The Typhoon was repaired and test flown at Rechlin (a German equivalent to RAE Farnborough) and later served as T9+GK with "Zirkus Rosarius". EJ956 overturned and was written off during a forced landing near Meckelfield, 10 August 1944. On 14 February 1944, another Typhoon was captured and later flown in Zirkus Rosarius. JP548 of 174 Squadron, force landed after engine failure near Marigny, France - the pilot, F/O Proddow evaded capture. This Typhoon crashed at Reinsehlen on 29 July 1944, killing Feldwebel Gold. A third unidentified Typhoon (possibly an aircraft of 1 Squadron) was also thought to have been flown by the Luftwaffe. Rather a large aircraft shall we say, for a single-engine fighter. Terrific power. Quite something to control. I liked it from the point of view of speed and being a very stable gun platform. You could come in on a target at 400 mph and the thing was as steady as a rock. The performance limitations for speed were noted on the pilot's notes, published by the Air Ministry. Indicated airspeed for diving was set at 525 mph. The Typhoon could, if needed, be flown at 300 mph with the Cockpit "hood" open. Flight with undercarriage and flaps down could be made without incident, at the respective speeds of 210 and 155 mph. When the aircraft was carrying bombs, the speed could not exceed 400 mph (for stability issues). Notes for the management of the fuel system stated that indicated airspeeds (IAS) in excess of 380 mph were not advisable when fitted with auxiliary drop tanks. Tanks were jettisoned at about 200 mph, but in an emergency, a release at 350 mph was permitted. However, tanks were to be ejected in straight and level flight only. General flying ability was positive. The maximum climbing rate was 185 mph up to 16,000 ft reducing speed by 3 mph per 1,000 ft above this mark. In stability terms, the aircraft was stable "directionally" and "laterally" but slightly unstable longitudinally, except at high speed, when it was just stable. Aileron control was light and effective up to maximum speed, but at very low speed response was sluggish, particularly when carrying ordnance. The elevator control was rather light and could not be used harshly. There was a tendency to "tighten up" in a looping plane. If "black out" conditions were accidentally induced in steep turns or aerobatics the control column was to be pushed forward "firmly". Stalling speeds were quite low. The typical Typhoon trait, as with most aircraft, was to drop a wing sharply with flaps either up or down. The stalling speeds varied. The various loads depended on external fittings. All-up weight plus 2 x 500 lb bombs (12,155 lbs in total) with flaps up could induce a stall at 90-100 mph. With flaps down, stall was initiated at 70-75 mph. Normal all-up weight (11,120 lb) would see stall at 80-90 and 65-70 mph respectively. With all ammunition and nearly all fuel expended (9,600 lb) stall occurred at 75-80 and 65-70 mph. Only one complete Hawker Typhoon still survives - serial number MN235 - and it is on display at the RAF Museum in Hendon, North London. 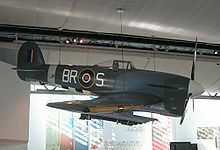 It was previously on display at the National Air and Space Museum (NASM) (Smithsonian Institution) before being presented to the museum in commemoration of the RAF's 50th Anniversary in exchange for a Hawker Hurricane. The Hawker Typhoon replica at the Memorial de la Paix, Caen (France) had been reconstructed from some original components. On 9 June 1994, in recognition of the aircraft and crew's role in the liberation of Normandy, a Typhoon Memorial at Villers Bocage was dedicated by Major M. Roland Heudier. Also present at the ceremony were General Yves Paul Ezanno DFC and bar and Squadron Leader Denis Sweeting, both former Squadron Leaders of 198 Squadron. 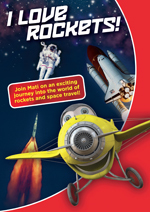 Rockets: 8 x� RP-3 unguided air-to-ground rockets. Bentley, Arthur L. "Typhoon (article and drawings)." Scale Models Magazine Vol. 6 No. 74, November 1975. Darlow, Stephen. 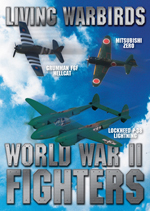 Victory Fighters: The Veterans' Story. London: Bounty Books, 2005. ISBN 978-0-7537-1559-8. Grey, Peter and Sebastian Cox. Air Power: Turning Points from Kittyhawk to Kosovo. London: Frank Class Publishers, 2002. ISBN 0-7146-8257-8. Scott, Desmond. Typhoon Pilot. London: Leo Cooper, 1992. ISBN 0-43644-428-3. Shores, Christopher and Chris Thomas. Second Tactical Air Force Volume Three. From the Rhine to Victory, January to May 1945. Hersham, Surrey, UK: Ian Allan Publishing Ltd., 2006. ISBN 1-903223-60-1. Sortehaug, Paul. The Wild Winds, The History of Number 486 RNZAF Fighter Squadron with the RAF. Dunedin, New Zealand: Otago University Press, 1998. ISBN 1-877139-09-2. Thomas, Chris. Hawker Typhoon (Warpaint Series No. 5). Husborne Crawley, Bedfordshire, UK: Hall Park Books Ltd., 2000. ISBN AZ0459. Clarke, R.M. Hawker Typhoon Portfolio. Cobham, Surrey, UK: Brooklands Books Ltd., 1987. ISBN 1-86982-617-5. Franks, Norman L.R. Royal Air Force Losses of the Second World War. Volume 2. Operational Losses: Aircraft and crews 1942-1943. Hinckley, Leicestershire, UK: Midland Publishing Limited, 1998. ISBN 1-85780-075-3. Franks, Norman L.R. Royal Air Force Losses of the Second World War. Volume 3. Operational Losses: Aircraft and crews 1944-1945 (Incorporating Air Defence Great Britain and 2nd TAF). Hinckley, Leicestershire, UK: Midland Publishing Limited, 1998. ISBN 1-85780-093-1. Halliday, Hugh A. Typhoon and Tempest: the Canadian Story. Charlottesville, VA: Howell Press, 2000. ISBN 0-92102-206-9. Mason, Francis K. "The Hawker Typhoon." Aircraft in Profile, Volume 4. Windsor, Berkshire, UK: Profile Publications Ltd., 1966. ISBN 1-85383-013-4. Rawlings, John D.R. Fighter Squadrons of the RAF and their Aircraft. Somerton, UK: Crecy Books, 1993. ISBN 0-947554-24-6. Rimell, Ken. Through the Lens: The Typhoon at War, A Pictorial Tribute. Storrington, West Sussex, UK: Historic Military Press, 2002. ISBN 1-901313-14-X. Scutts, Jerry. Typhoon/Tempest in Action (Aircraft in Action series, No. 102). Carrollton, TX: Squadron/Signal Publications, 1990. ISBN 0-89744-723-2. Thomas, Chris and Mister Kit. Hawker Typhoon(in French). Paris, France: x�ditions Atlas, 1980. No ISBN. Townshend Bickers, Richard. Hawker Typhoon: The Combat History. Ramsgate, Marlborough, Wiltshire, UK: The Crowood Press Ltd., 1999. ISBN 1-85310-908-8. 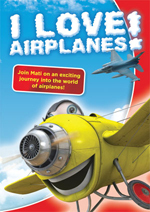 Typhoon at War DVD, IWM footage.